Diego Maradona has apologised to FIFA for comments he made about the referee after Colombia’s defeat to England at the World Cup. Argentina’s 1986 World Cup-winning captain claimed Colombia suffered a “monumental robbery” in the last-16 tie on Tuesday after England were awarded a penalty for a foul on Harry Kane. Maradona said American referee Mark Geiger “knows a lot about baseball but has no idea about football” and also criticised FIFA for appointing him to the match in Moscow. Maradona also claimed Geiger should have penalised Kane in the build-up to England’s second-half penalty, and criticised Pierluigi Collina, head of FIFA’s referee committee, for allowing Geiger to officiate the match. 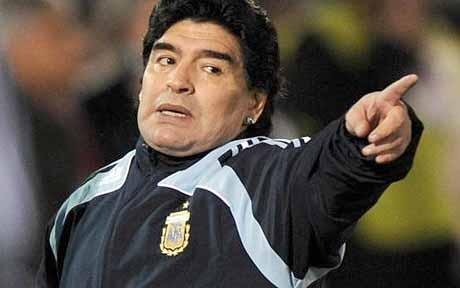 The Argentina legend’s remarks earned him a rebuke from tournament organisers FIFA, whom it is understood pay Maradona around 10,000 US dollars a game as part of its ‘Legends’ ambassador programme. Maradona, who mostly attended World Cup games in Russia as a VIP guest of FIFA, was photographed before the game wearing a Colombia shirt.